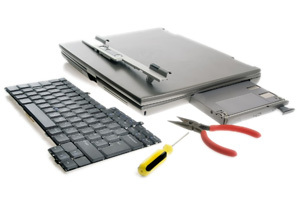 At Guildford Computer Repairs we offer not only PC Desktop Repairs but also, Laptop hardware repairs, we can deal with software problems, parts replacement. Just bought a new Computer? Need help setting it up? Regardless where you purchased your Computer - give us a call and we'll help with connecting it all up; setting up your internet and transferring all of your files, emails, photos, bookmarks and settings from your old computer. Transfer data from one computer to another, or one hard disk to another without need to reinstall windows, drivers, updates and without losing the softwares you had previously installed! Laptop repairs including: liquid damage, DC Power Sockets, Screen Backlights, Broken Screens, broken trackpads, broken keyboards. Laptop Upgrades, memory upgrade, Hard drive upgrade, etc. Whether it's a major motherboard and processor replacement or memory upgrade. We can supply, install and test your new hardware.